Opening a bottle of bubbly is delightfully fun, but even for the casual imbiber, there are plenty of essentials to consider before popping the cork. For those who are new to the world of sparkling wines, choosing a bottle for a casual event or a special occasion can be a bit daunting, as there are an abundance of sparkling wines produced around the world — all of varying quality, character and taste. Many wine enthusiasts may be aware that Champagne is a sparkling wine, but not all sparkling wines can be called Champagne. (Only those wines produced in the Champagne region of France can be designated by this name officially.) Other popular European sparklers include Spanish and Italian wines, called cava and prosecco. Both are viable alternatives to Champagne because they can be easier to find at a more reasonable price. In recent interviews, five wine experts from around the world shared some valuable information as well as their own personal tips and suggestions about sparkling wine. These are some of their insights about the best way to select — and enjoy — sparkling wine for any occasion — from a casual party to a sophisticated soiree. What’s new with sparkling wine these days? Sparkling wine is being used more frequently to enhance cocktails. Many cocktails can be topped with a sparkling wine to add a textural component of carbonation, without taking away from the drink’s current flavor profile. Even a classic cocktail can be improved with a sparkling wine. What’s the best way to choose a bottle of sparkling wine for a gift? For someone unfamiliar with sparkling wine, but in need of a casual gifting option, I would recommend prosecco or cava. You can find inexpensive options that are still pleasing to the palate. For a special occasion, I would recommend a Champagne or a Franciacorta, especially Ruinart or Charles Heidsieck Champagne. For the holidays, I always go with a cava before dinner, a nice semi-dry Riesling during the meal, and a cremant from Alsace after dinner. Sometimes, I cap off dinner with a sweeter option, like a German piesporter from the Mosel region. What is a common mistake people make when choosing a sparkling wine? I think a big mistake is selecting sparkling wines based on their price points. Keep in mind that very expensive Champagne is not always worth the price. How do you help customers choose a sparkling wine? When guests ask for sparkling wine recommendations, I find out if they like dry or sweet — and then we talk through the different price points of whichever variety they prefer. I explain the varying production methods, location and other factors. I also like to point out that it’s all about personal preference. What are your top sparkling wine tips? That’s easy! Don’t select a sparkling based on the price, and be sure to serve Champagne in wine glasses instead of flutes (the nose is beautiful). Can you share some of your preferred pairings? A few of my favorite pairings include oysters and Champagne; dry prosecco with Parmigiano or Burrata; and Lucien Albrecht Cremant d’Alsace brut rose with a flourless chocolate cake. I think the one thing that surprises most people about sparkling wine is its versatility — and just how many delightful varieties there are outside of Champagne. What is your personal favorite sparkling wine? My favorite is Ca’del Bosco Franciacorta Cuvee Prestige. It’s a blend of Chardonnay, pinot bianco and pinot nero produced in Franciacorta, known as Italy’s “Champagne region.” I recently tasted their new Cuvee Prestige rosé and loved that as well. My favorite prosecco is Bele Casel prosecco Treviso Brut, a refreshingly light and dry option produced in Veneto, Italy. For cocktails, I enjoy a classic French 75. It’s a simple, balanced cocktail made with Champagne, gin, lemon juice and simple syrup. Which sparkling wine trends are happening right now? Today, cava wines are in the midst of a quality resurgence. In the last few years, many lower-quality cava flooded the market — much like the prosecco wave. In turn, a large number of producers are setting out on their own, leaving the classification names behind and creating their own grander guidelines. There are many coming out of the Penedès region — such as Penedès Classic. Although the focus is on labeling to suggest quality, it can be very confusing for the US consumer. I think quality-minded buyers will learn the names of top producers leading the quality charge, such as: Gramona, Raventos i Blanc, and Juvé y Camps. 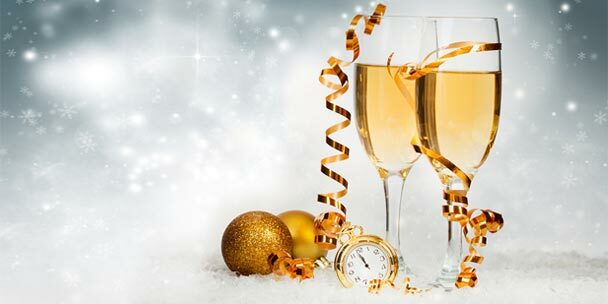 Do you have a favorite sparkling wine that is budget-friendly? Yes, as there are some great value sparklers that over-deliver and are worth the search. For example, Luis Pato’s rosé espumante and blanc from the Beiras region of Portugal brings bright red cherry fruit along with a traditional method toasty note (as in Champagne). And prosecco can be a real surprise — such as Nino Franco’s Rustico prosecco, from Valdobieddene, Italy. This is a drier style, with freshness and real depth not normally found at such a great price. What about more expensive sparkling wines? At a higher cost, the crisp, mineral-tinged acidity of Blanc de Blancs Champagne, which is 100% Chardonnay, can be very expressive. Top ‘Grower Champagne’ or ‘Farmer Fizz’ producers offer the best value in this style, as they produce their Champagne only from their estate vineyards. These wines tend to be more expressive of a specific place. I love bright, high acid versions of Blanc de Blancs from Pierre Peters and Marc Hebrart, which both really over-deliver in comparison to their cost. Of course, if you are looking for a consistent, richer style of Champagne, there are the ‘go to’s’ of Krug and Bollinger house cuvées. These are made to be highly representative of the producer, and must deliver exactly as expected, making them more challenging to make than more expensive vintage Champagnes. How do you help a sparkling wine neophyte choose the right bottle? For a casual event, choose a well-rounded house style that is easy to drink as an aperitif. Try to avoid overly tart or sweet styles, as they are not general crowd pleasers. Serve the wine very cold to enhance the freshness and drinkability. When celebrating a special occasion, ask for the ‘Tete de Cuvée’ of any Champagne. This means it represents the producer’s best efforts — it’s made for special occasions. What should someone not do when deciding upon a bottle of Champagne? Don’t use the Champagne flute! It does not do a sparkling wine much justice, as most versions are too small and narrow to allow the wine to open and the aromas to be enjoyed. Do you have a favorite Champagne cocktail? The Death in the Afternoon cocktail is a refreshing, simple classic. It includes one ounce of absinthe in a Champagne glass, topped with ice cold sparkling wine. The absinthe turns white and creamy with effervescence. How do you educate your customers about sparkling wines? I suggest they sip it with their appetizers, as it is an ideal way to begin a meal. For those just getting into sparkling wine, a little experimentation is required to find a favorite. If you buy only the cheapest sparkler on the list, do not expect it to blow you away. Be sure to find a quality neighborhood wine shop and ask the experts on staff to point you in the direction of great producers of value. What may surprise consumers about sparkling wine? Champagne can come off more masculine and powerful than expected, and can be a serious savory style of wine, based on the style and producer. What thoughts do you wish to share about sparkling wines? Sparkling wines are growing as a category — and people aren’t just drinking sparkling wine for special occasions. Sparkling wine is now enjoyed with everyday meals as well as in cocktails — all week long. It’s more approachable than ever — and it’s a great time to experiment and learn! What are your sparkling favorites? For a casual party, I suggest choosing something that would appeal to a large audience and a definite crowd-pleaser. In this case, I recommend Korbel brut because it’s not overly dry or sweet — it’s light and easy to drink. Meanwhile, a brut rosé is great to serve with desserts like chocolate and fruit, while extra dry is best with salads and even spicy foods. Which Champagne cocktail do you prefer? ½ oz Chambord liqueur topped with Korbel brut. Can you share your favorite prosecco producers? One of the most fun, new discoveries that I have tasted this year is Zonin’s Dress Code collection. They have three different styles, blends, and flavor profiles: the White Edition is the traditional glera grape blended with pinot bianco; the Grey Edition is blended with pinot grigio; and the Black Edition is blended with pinot noir. I don’t think people realize how versatile prosecco can be — and different variations are a great way to explore all the different flavors and textures! What new trends are you seeing with sparkling wines? I’m seeing more sparkling wines poured into punches and cocktails. I think this is a reflection of the desire of many Americans to remove a bit of the formality that surrounds sparkling wines, and to make them more fun and relaxed. This summer, there is a major trend of fruit ice pops dunked into glasses of sparkling wine — not only at cocktail bars, but also all over social media…people are doing this at home, and I love the creativity of that! 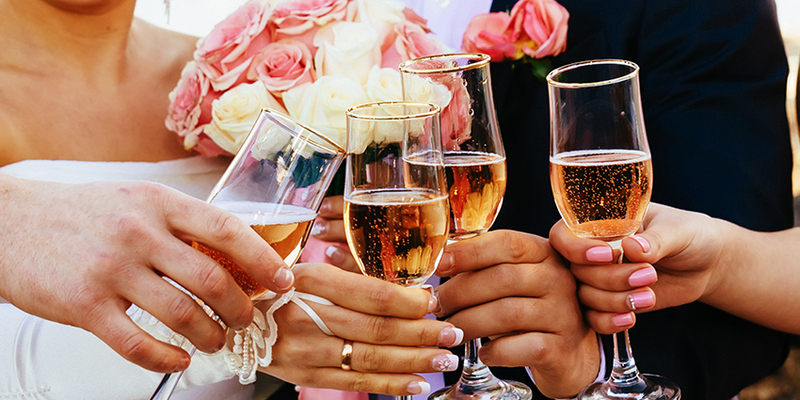 What should party-goers know when bringing a sparkling wine to a casual event? Make sure you arrive with the bottle chilled, because your hosts will most likely want to open them right away! A great tip is also to bring two bottles — one for the party, and one for the host to enjoy at a later time. You can be generous without putting too much of strain on your wallet. What should we not do when purchasing a bottle of sparkling wine? I would advise against buying anything that retails under $10. There are some extremely cheap sparkling wines in the market right now, and the lowest-end options are not worth the low quality. In my opinion, for every dollar you can spend over the $10 mark, you can get better quality bottles. Do you have a favorite prosecco cocktail? I really favor a classic Bellini, made with prosecco and peach puree. It’s elegant, festive, and not too sweet. The beauty of this beverage lies in its simplicity, and a Bellini is simple and perfect. My other favorite is an Aperol Spritz. The bitterness of Aperol paired with the fruity fizziness of the wine is a fantastic combination. How do you educate your customers about prosecco and sparkling wines? I usually begin by explaining the difference between prosecco and Champagne (for example: the different regional distinctions, grape blends and production methods). After we get the education part out of the way, I usually encourage them to just taste and enjoy! What are your top tips for consumers who wish to try prosecco? I suggest people try it on its own, then taste it in a cocktail — and lastly, always keep a bottle on hand for enjoying any night of the week! What do you want everyone to know about prosecco? The diversity of styles! Many people are enjoying these wines but they think of the category in general, and aren’t familiar with specific brands and producers. The key to this is to taste as many as possible…after all, the more you try, the more you will discover! Which sparkling wines do you prefer? My personal favorite is Franciacorta sparkling from Lombardia in Northern Italy. As far as Champagne wines are concerned, I do appreciate the Jacquesson and Pol Roger Champagnes as négociants wines, as well as Agrapart and Doquet as wine grower wines. What’s new with sparkling wines today? Today, the trend goes towards more natural wines without sugar (zéro dosage) and with a low rate of sulfite. Most of organic and biodynamic sparkling wines usually meet this criteria, as well as all the cuvées of my small Leclerc Briant Domaine, of course. For someone who is not familiar with sparkling wine, how do you recommend they choose a bottle? For a casual party, I would go for the VCP yellow label — it is a very nice brand and a safe choice. For a special occasion, I would rather choose a Cuvée Spéciale like Dom Ruinart or Cuvée Churchill from Pol Roger. 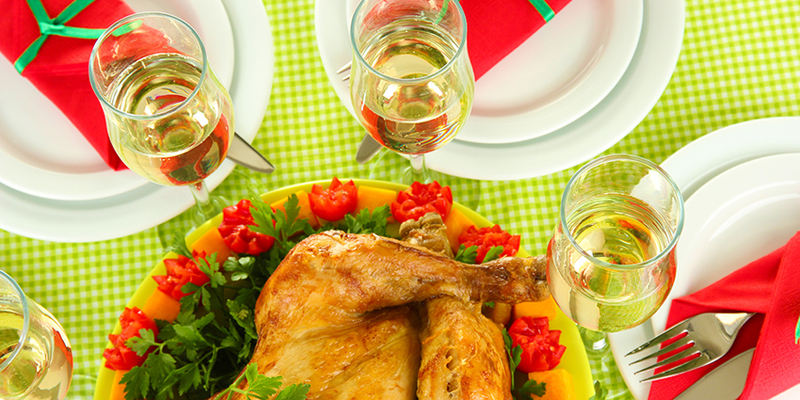 For a holiday dinner, I would choose a cuvée from Emmanuel Brochet, Le Mont Benoit premier cru zéro dosage. It’s perfect for food pairings. What should wine drinkers avoid when choosing a sparkling wine? Do not trust only the brand name — and read the back label for more information. How do you help consumers understand sparkling wines? I always explain that there is room for all types of sparkling wines. I refuse to present any kind of hiérarchie between the various sparkling wines. 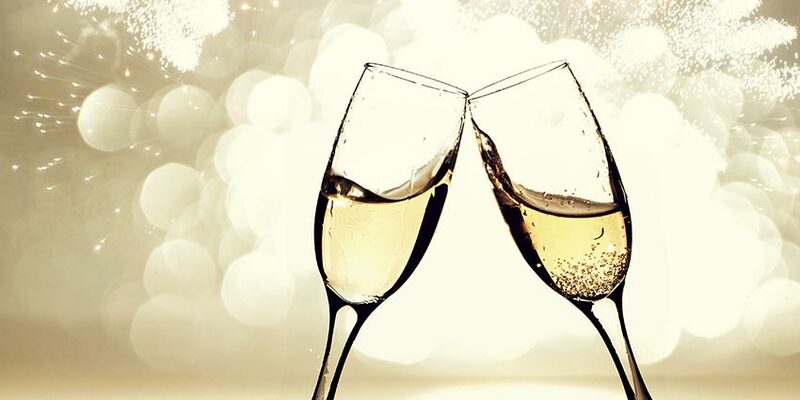 Your favorite pairings with sparkling? The possibilities are endless…I remember a fantastic pairing with Dom Perignon and a pizza! What do you think wine lovers should know about sparkling wine? Sparkling wines are not only for celebrations — it’s a real wine and it’s overflowing with character, emotions and feelings!